Back from my second and last snowboarding trip out west of the season, and had an absolute blast out at Snowbird in Utah. 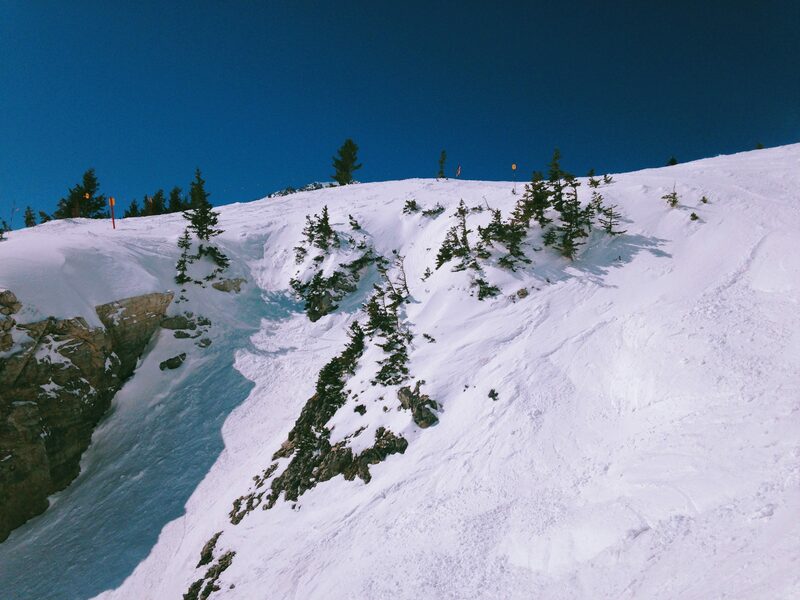 After my trip to Breckenridge last month – a place I know my way around well – it was really exciting to get to a new mountain, especially one as demanding as Snowbird. It was just my friend Mike and I, and we stayed at the resort at the mountain from Thursday – Monday, with four days of riding scheduled. I wish I’d been in better shape going into this trip but with 16 days behind me already for the season, I was starting to feel it. We didn’t get any fresh snow while we were there, which made riding conditions a little less-than-desirable. We were often on pure hard-pack, with some pockets of deeper snow in the trees. I can’t imagine being out there with tons of fresh snow, and I’m sure I’ll daydream way too much over the next year about exactly that. It just has so much to offer, especially if you’re skills are good and you’re looking to take them up another notch. I do spend most of the winter riding at small places in Illinois and Wisconsin, but I’m perfectly comfortable riding single and double blacks at places like Breckenridge. Runs of the same rating at Snowbird were definitely more demanding, so it was great to push myself regardless of the snow conditions. I’ll have more photos eventually taken with my D90, but here are some shots from my iPhone 5, edited using VSCO Cam.